AleaSoft has been providing energy forecasting for the Enel family for years and is proud to now include Enel Green Power as a client for our price forecasting solution. 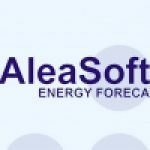 AleaSoft recognizes the growing importance of green powers, and has been providing forecasting for green energy production, such as Solar Power Production Forecasting and Wind Energy Production Forecasting. AleaSoft complements its electricity price forecasting services with forecasts related to other price-related variables, in which market players are also interested, such as forecasts of commodity prices (Oil, Gas, Coal, CO2 emissions), electricity demand, production by technology (wind, hydro and solar) and meteorological variables, also influencing the electricity price. AleaSoft has developed an energy forecasting methodology that is unique, guaranteeing the highest degree of efficiency and accuracy. Models are based on Neural Networks and Statistics methods, with automatic learning algorithms that capture the dynamic nature of price, identifying peaks, setting and maintaining the models updated when trend changes occur. Each model is customized to the particular features of each market. With this new contract, AleaSoft reinforces its mission and its leading position as a provider of electricity price forecasting models. These models are being used by major European market players, such as: Endesa, E.ON-Spain, Gas Natural Fenosa, Electrabel – GDF SUEZ, E.ON-Italia, Iberdrola, Shell, BBE, Statkraft and ContourGlobal, as AleaSoft continues to expand its client base.